We know exactly how to clean an apartment before moving out thanks to our detailed and useful service called end of tenancy cleaning. It provides the required cleaning associated with the stressful moving out. Most of the tenants have to think about numerous things when the time for leaving their rented home is near, especially to put the property in order to get their rental deposit back. All tenants, and we also know how demanding all landlords are when it comes to the release of the property in a clean and good shape, and if you have not managed successfully with the cleaning you risk not to receive back your deposit. So it’s better to think in time how to proceed in order to save yourself troubles and stressful moments. Happily, we work exactly to help you in this situation. Witty Cleaners are a professional cleaning company from Wapping E1 knowing how to clean your rented homes in a way that will completely satisfy your rigorous landlord. For all tenants who are about to change location and move out from their present property we have created the correct cleaning service. We can send our professional cleaning team right away to carry out our superb end of tenancy cleaning which will easily solve all your problems. 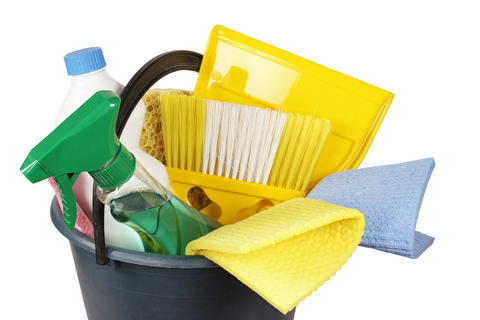 Our cleaning technicians in Wapping E1 are very well trained and prepared to help you with cleaning. To be absolutely sure that you will get the best service we work with carefully vetted, insured and uniformed technicians. After their hard and diligent work your property will acquire clean and fresh condition, ready to go through the thorough inspection of your landlord. Our service is characterized by detailed cleaning of all rooms, total disinfection in the bathroom and toilet, cleaning inside and outside furniture and appliances, vacuuming, dusting and removing stains and marks and if you need more services can add it to your request for end of tenancy cleaning package. If you’re not sure what your landlord should expects from the cleaning, we can reassure you because we are fully aware of his requirements. Witty Cleaners guarantee that our support will ensure complete recovery of your deposit. Moreover, you will get high quality service for the value of your money. Check the pricelist to enjoy the best and unbeatable rates in Wapping E1. Many of our precious customers sent us feedback after they have tested our professional services and you can read it on customer testimonials. To schedule an appointment for professional cleaning in Wapping E1 call on 020 3404 0304 and you can also request a free estimate from our polite phone advisors. We have also an easy to use online form in the website to fill in for direct booking.